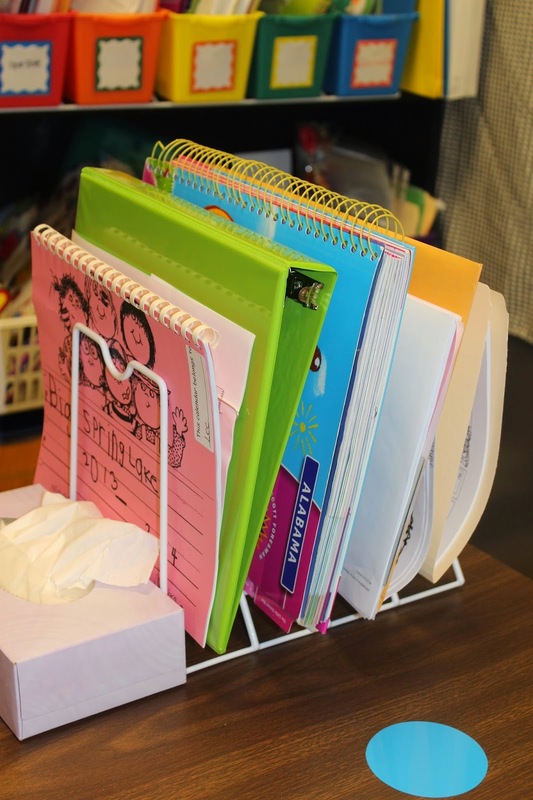 Blog Hoppin': Back to School Tips and Timesavers! Hi! It's Julie from Mrs. Lee's KinderKids! Every year I work so many long days and nights trying to get ready for my new group of kiddos...I want everything to be perfect! This all happens pretty much before my first "official" day back to work. Then, it's crunch time...planning, cutting, running copies...it never ends. I wanted to share with you a few ways that I get ready for a new school year. Also, if you don't follow my blog already, click HERE to go follow me. I will be showing my new classroom set-up and decor soon! I am really lovin' it! 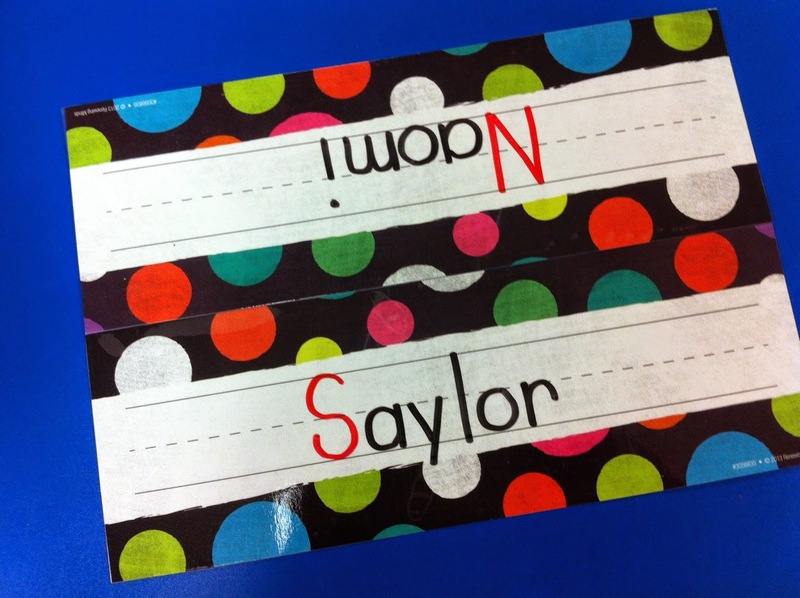 When I write my student's names, I write the first letter in a different color to help them with a few things: 1. distinguish where their name begins (left to right), 2. the fact that the first letter is capitalized (different than the other letters) 3. to help them focus on getting that first letter and going from there. 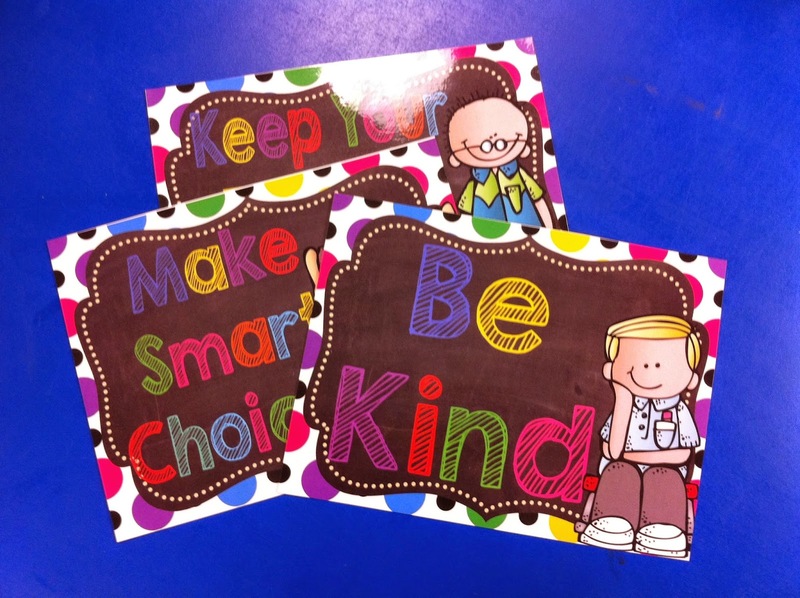 so I made some new rule posters to use with my students. You can find them HERE for FREE! Please rate it if you download and let me know what you think. 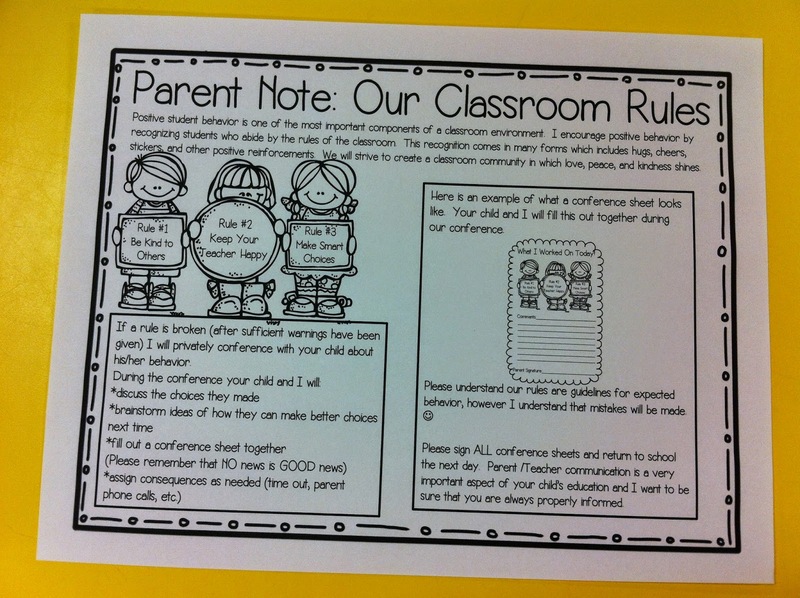 Here's the parent note explaining the plan. You can find it HERE for FREE. Thanks to Jamie Mayas for whipping this up for us! I pull out every book that I *might* use and put them nearby...These are a MUST! You can read more about Peacemakers and Peacebreakers on my blog HERE. Here's the sort we do the first week. Ok, so I don't give my students their "own" crayons the first day...or two of school. We only go half days for the first week of school so I don't really have a ton of time to introduce EVERYthing the way I like to. We use crayons the first day...so I just use a little basket or tub...whatever I have handy...and put a box of crayons in the tub. Each table has a basket like the one below. They share the crayons the first few days. REALLY?!?! you ask...yes! We only color a couple of times before I sit them down and carefully go over "crayon rules" so it works perfect! 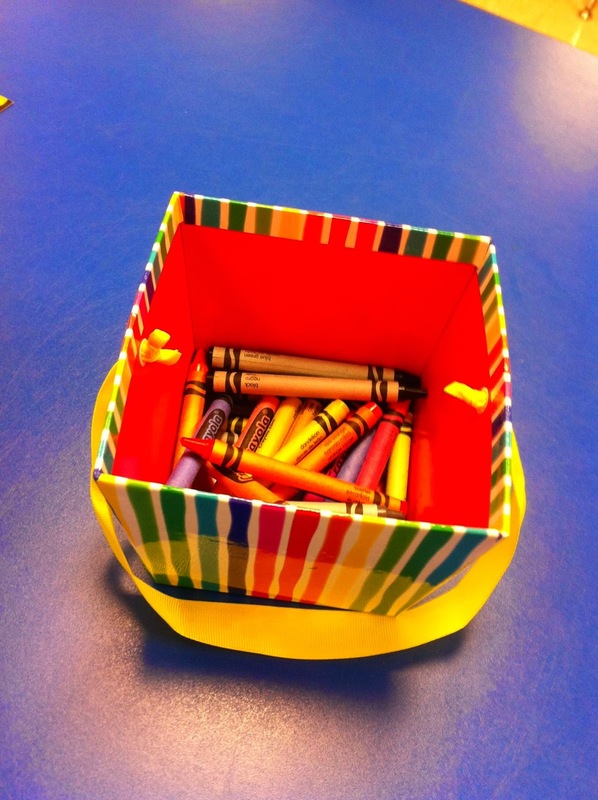 After going over the "rules" each student gets their very own crayon cup. Last year I desperately needed new marker cups. So, I found these black ones that I just love because they don't look near as dirty as my clear ones did beforehand...I cut circles out of sticky vinyl and color coded the cups to match the basket/table they go with. 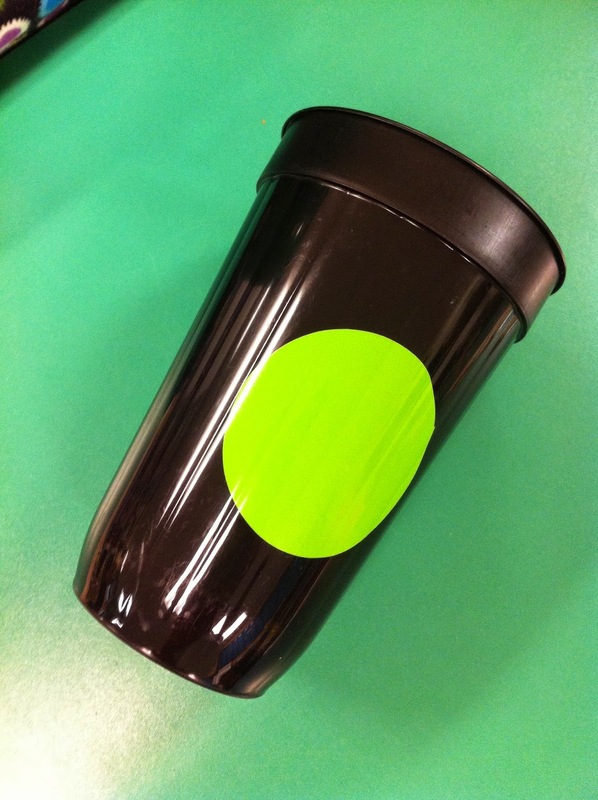 This helps because if a student leaves their cup at a center we know exactly where to put it when it is found. 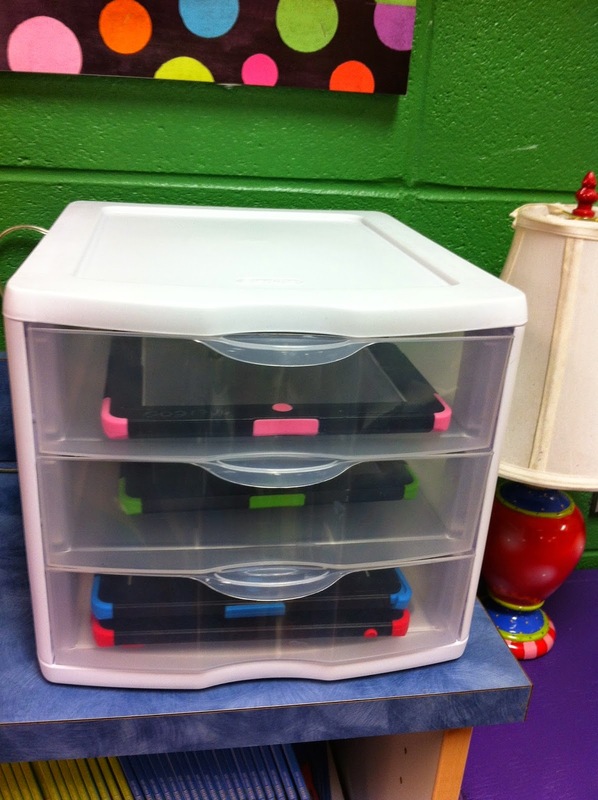 I bought this little organizer from Wal-Mart last year to keep my iPads in. And, if you're like me, your desk is usually messy...so I tried really hard to keep things off the middle of my desk, at least, and in this organizer from Wal-Mart. I found it on the aisle with hangers and ironing boards. Plus, it looks cute! Double score! 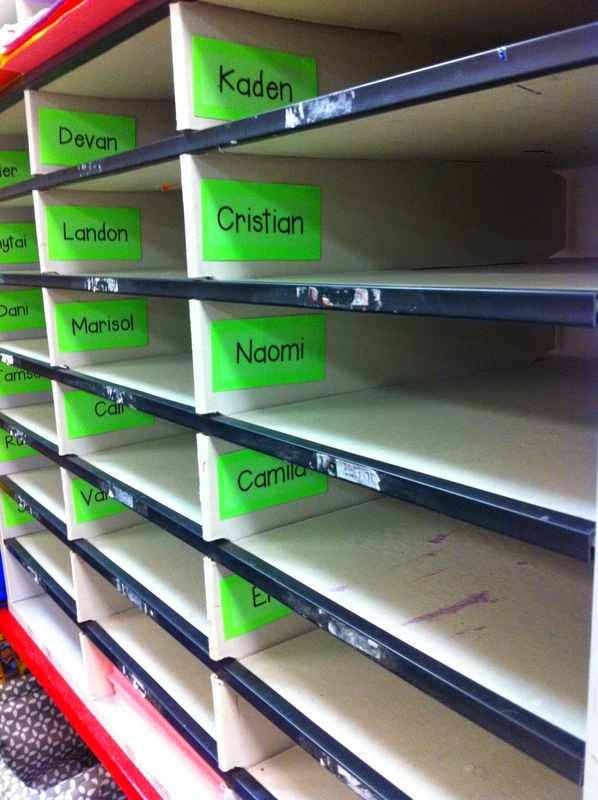 Here's another way I use clear labels...this is where work hangs in my classroom. 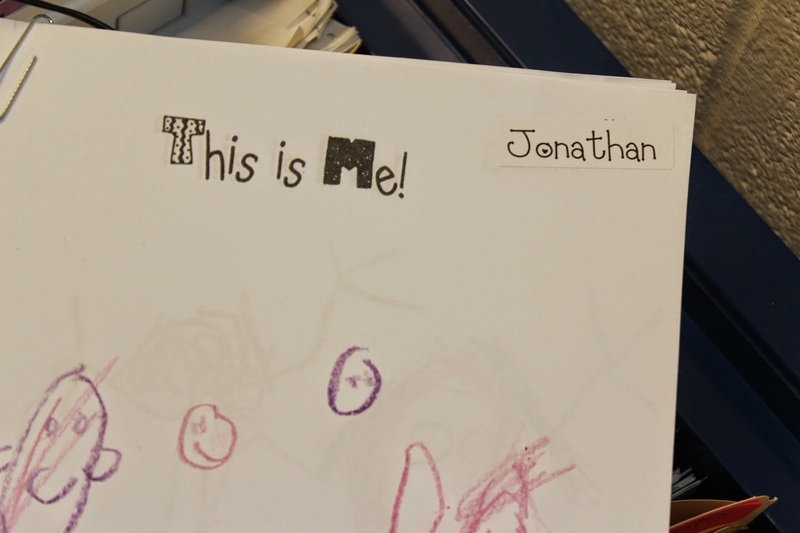 I do not hand write hardly anything that is clearly visible in my classroom...I use labels for a TON. Thanks for reading this super long post!! Hopefully it was helpful! Great post Julie! It's always nice to hear a new set of tips! 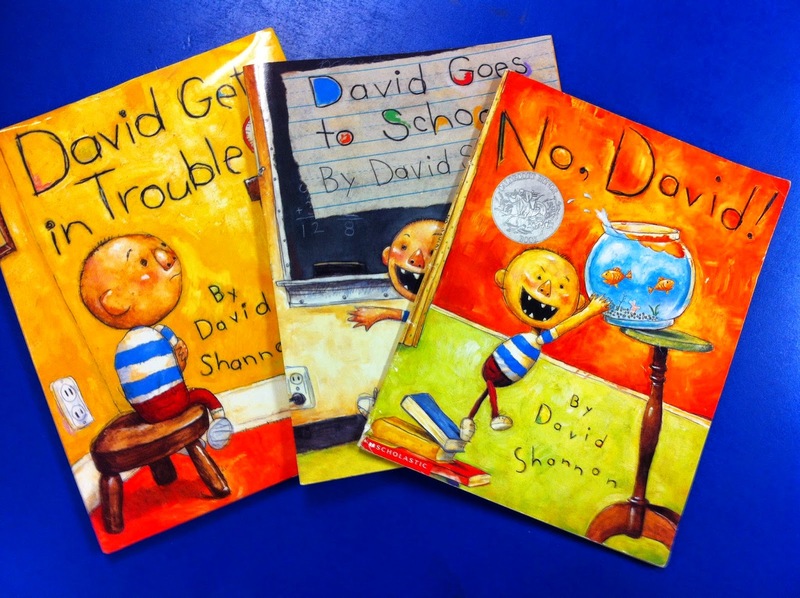 I would love to make the little David with my kids! Do you have a template?